There are many unanswered questions about the unusual in our world and it is part of its wonder. And this wonder is perpetuated by the possibilities of monsters that exist in the wilds of the natural environments that cover our lands. Sceptics will rubbish the idea, but non-believers are merely closed minds – we’re here to contemplate the possibility of mighty and rare beasts existing on the very same bit of space rock as us. Bigfoot is also known as Sasquatch and believed to inhabit regions of north America, specifically the pacific northwest. Its preferred surroundings are forest and the beast is reckoned to walk on two feet, while maintaining an apelike appearance. There are plenty of reported sightings of Sasquatch and recordings of footprints and similar evidence that provide evidence for scientific investigation. The general consensus among the scientific community in relation to this is that Bigfoot doesn’t exist with about 90% of this evidence definitively considered fabricated. However, fossils found of large apes, in particular gigantopithecus blacki could have camera shy living relatives. 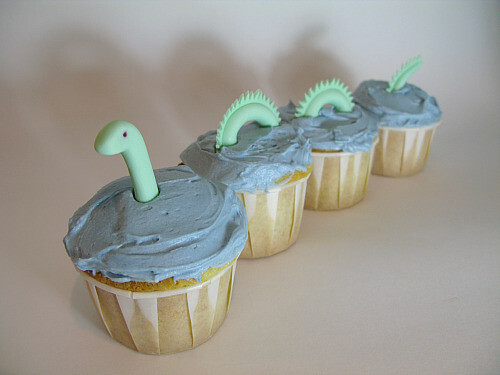 Nessie is one of the oldest myths relating to rare beasties. It is believed that the first sighting was in the 6th century. It is thought a monk witnessed a burial by the River Ness and was told that the man had been swimming and was attacked by a water-beast. The Loch Ness Monster is believed to be a surviving plesiosaur and modern sightings began in 1933 with all of them stating very similar proportions of the beast. Nevertheless as time has gone on and technology improved and belief in Nessie has dwindled with the debunking of ‘evidence’. In 2003 the BBC sponsored a sonar study of the loch and nothing was discovered, this basically left little doubt that the monster was a myth. However, seeing as sightings have occurred out of the water it has been speculated that the beast was ashore, or even dormant on the surface of the loch during this investigation. 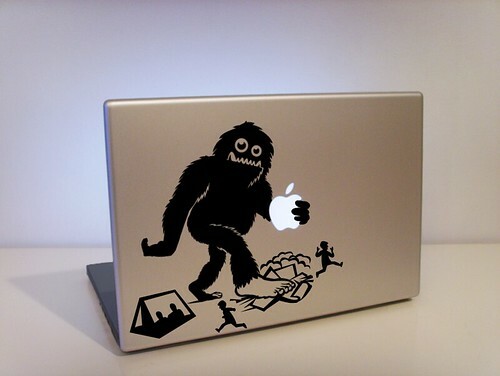 The Yeti is very much like Bigfoot. The beast inhabits Nepal and Tibet regions though and has white fur as opposed to Sasquatch’s brown. The Yeti is also known as the abominable snowman. In 1921 Lieutenant-Colonel Charles Howard-Bury led a team to Everest and while there witnessed footprints he thought to be that of an oversized wolf. 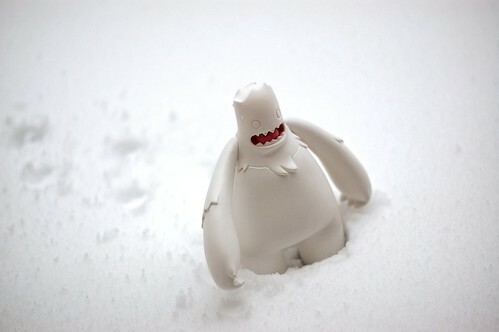 He was however informed by his local guides that it was ‘metoh-kangmi’, the wild man of the snows. When talking to the team about the trip journalist Henry Newman translated ‘metoh’ as ‘filthy’ and changed it to abominable presumably because it sounded better. Evidence has surfaced fairly regularly in relation to the Yeti, however it has always been quickly discredited. A lot of the discussion focuses on how easily in the conditions it would be to mistake much of the local wildlife, which includes various mountain bears, for a Yeti. However, as recent as 2008 a team of Japanese adventurers photographed footprints that were difficult to identity and led to renewed intrigue. The leader of the team Yoshiteru Takahashi claims he saw a beast five years earlier that was a Yeti and is currently endeavouring to capture it on film. Watch this space. David Moore is considered monsterous by most of his Find Me A Gift colleagues. That is until he’s had his first coffee of the day, then he’s lovely, quietly investigating the world of beasties of a more cuddly variety.